Let's take a look at one of the most popular printed works of Alchemy. By dissecting each paragraph and scrutinizing the words of this Sage we can all further our understanding of our Art. I am hoping we can have a fruitful discussion while studying Basil Valentine's words together as a group and hear how we each interpret what is being presented by Basil Valentine in each of his Keys. This thread is not just a platform for me to voice my opinion, but a place that we can all be heard. "The vivifying power of the Earth, produceth all things that proceed there form: And he that saith that the Earth is without life, is in an error..." Can we understand this to mean that our prepared Earth is the cornerstone of our Work and that this prepared Earth contains everything we need in order to proceed to Success? Although this gross Earth appears to be "dead", we who have properly worked with this Earth know for a fact that this Earth contains Life and that this lowly terrestrial Body can be manipulated by Art into a higher form than its current manifestation. 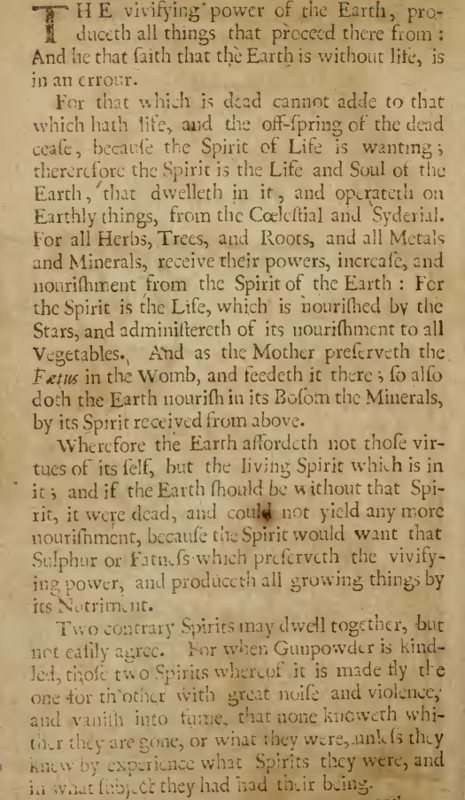 "For all Herbs, Trees, and Roots, and all Metal and Minerals, receive their powers, increase, and nourishment from the Spirit of the Earth: For the Spirit is the Life, which is nourished by the Stars, and administereth of its nourishment to all Vegetables..." It is declared here that something is needed from this Earth. What is needed Basil Valentine here calls 'Spirit'. This Spirit administers its nourishment to all "Vegetables" (all Vegetables come from the Earth). Without this Spirit our Work languishes and stagnates! Basil Valentine says "...the Earth nourishes in its bosom the Minerals by its Spirit received from above..." This tell us where this Spirit is located when it is manifested within our flask. Note that this Fifth Key mentions a Magnet. We will discuss this later. Just like Fulcanelli, we see that Basil Valentine is one to use ingenious wordplay with double meaning behind his remarks. For example, "...I will reveal one thing more unto you in this Chapter. When a Man looketh in a Glass, there is the reflection of his Image, which is you go to touch with your hands, you find nothing tangible but the Glass wherein the person looked: So also from this matter must be drawn a visible Spirit, which nevertheless is impalpable." Furthermore Valentine explains this Spirit is the origin of Life in our Work and that this Spirit is "...the Mercury of the Philosopher's, from whence our liquid Water is prepared in our Art, which you must again make material with its own Composition, and by some certain means reduce it from the lowest to the highest degree into a most perfect Medicine..." Not only is it made clear that this Spirit manifested in a certain form is the 'Mercury Of The Philosophers' but a major hint is given when we are told about this 'liquid Water' obtained from our Spirit. "For our beginning is a secret and palpable Body..." I take as the first Body being our prepared Earth, and "...the middle is a fugitive Spirit and golden Water without any corrosive..." is a lucid description (again in doublespeak) of what we are to be looking for towards the middle of our Work time-wise and in the middle of our flask location-wise. We will discuss this middle golden Water in more detail later. After our Matter (our Earth) is prepared "...very well and highly purified in the beginning of our work then dissolved and destroyed and thoroughly broken and reduced into dust and ashes..." we are told to "...make thereof a volatile Spirit white as Snow..." which is in my opinion referring to our Sal-Armoniac and to make "...another volatile Spirit red as Blood..." which is our Redness: Exaltation preceded by our Whiteness: Regeneration preceded by our Blackness: Putrefaction. 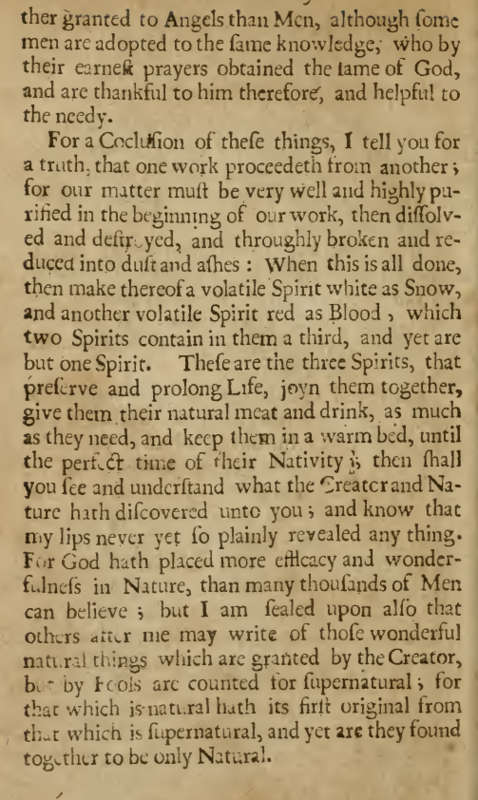 Note that these "...two Spirits contain in them a third, and yet are but one Spirit...", just as our Earth is but one Body which contains all we need in our Art. As Basil Valentine himself says, "...know that my lips never yet so plainly revealed any thing." Why not start with the first key? I assume they think that within the first key(s) the profane purification of the matter ore is described and that there is hidden no allegory so far ! I think so too. That's the easy part. But the allegories are still there and can be very useful in learning. 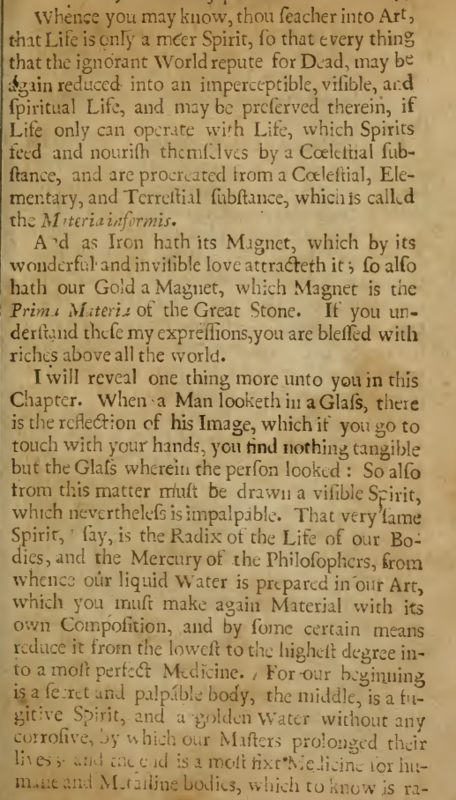 I have never seen any commentary of this text, even those reputedly written by the author himself, that does not explain that the first key is just about the purification of gold. Taking cues from these commentaries, Lawrence Principe has been able to follow and replicate all the steps in the first few keys, which deal with gold. But as he admits himself, things start getting blurrier and more difficult to interpret in the "middle keys". This is where the issue of the secret solvent comes into play, so no wonder that the text gets obscurer and vaguer. Last edited by JDP; 08-07-2018 at 03:00 PM. This is great, thanks Schmuldvich. Be careful when the sages say they speak clearly, as it is most likely the most cloudy. Indeed. A very common boast, which more often than not wholly disappoints, as what they claim to have just "revealed" is usually either absurd, contradictory, mundane and/or barely coherent. There is indeed a "key to the twelve keys". It is an anonymous manuscript in French, written about 1700. La Clef des Douze Clefs de Frere Basile Valentin / Der Schlüssel zu den Zwölf Schlüsseln von Bruder Basilius Valentinus. M. P. Steiner published it the first time in 2006 in French and German.